If your toe looks like this, you need a Podiatrist! If you have a broken big toe, the longer you wait and walk on a broken toe, the worse it can pull apart and may lead you to need surgery to fix it. To the left is a broken toe image. If you get it immobilized quickly, you will stop further damage to your broken toe from occurring and allow healing to begin. 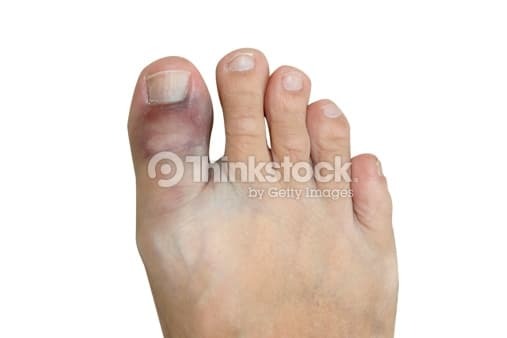 Weather you dropped a steak out of the freezer onto your toe, or jammed it into the bottom of your bed, if it turns black and blue, get it looked at. This broken toe picture is a good indication you have a serious problem. 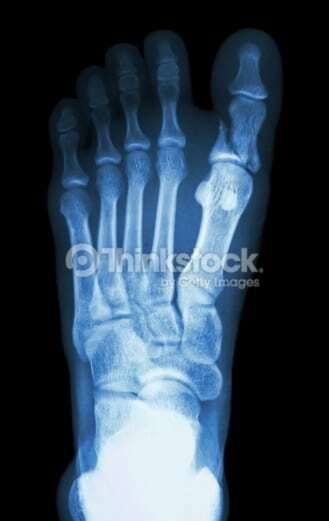 At Beaver Valley Foot Clinic we have many treatment options for broken toes. We will find the one that best suits your injury, your activities, and what you need to get done every day.